In order to help you understand the lifespan of a crown, we are happy to offer you the following information. Obviously, there are a multitude of factors involved in keeping crowns intact. Many insurance companies will pay for a crown to be replaced if failure occurs after 5 to 8 years. Consequently, many dentists estimate a crown should last from 5 to 15 years. One study tracked the success rate of 2,340 crowns and discovered that 1,989 out of 2,340 crowns lasted over a quarter century. These results are highly encouraging – at 10 years, the success rate was an impressive 97% (2270 crowns that lasted over a decade). Even at 25 years on, the success rate was a remarkable 85% (Walton, 2013)! This shows that given high-quality crown materials and manufacturing, and expert installation by Alex Bratic, chances for long-term retention are quite high. The 3% at 10 years, and 15% at 25 years that did fail, are a cautionary tale. Long-term retention of crowns is quite possible, but not a certainty. This points out the need to take proper care of our teeth, especially those capped with dental crowns. Proper Diagnosis is job one: As effective as dental crowns can be, they are not always the right answer. Alex Bratic Dental Care only recommends them if they are of premium quality and are long-term solution with the highest chance for successful treatment. Proper Materials: Depending on tooth location, aesthetic considerations, and bite characteristics of the patient, we will recommend the appropriate material and construction of the crown. Your needs and desires always come first in deciding which materials will be best for your particular situation. We often recommend zirconia for our crowns, as it is the strongest material used in dentistry, but no decisions are made before a full consultation with you! Expert Installation: Alex Bratic Dental Care has a long history of successfully placed dental crowns. Our training and experience means that we are knowledgeable of everything necessary for a successful procedure. Our preparation of the tooth and crown is second to none and we fix the crown in place with only the strongest cement. At Alex Bratic Dental Care, we provide a virtually pain free experience, no matter what treatment is being performed. Our staff is also highly trained in dealing with patients who have worries or anxiety about dental treatment. Home Care: After placement, we will instruct you in the highest level of oral hygiene for your dental crown (and all of your teeth). Our dental surgery was recently refurbished from waiting room up to the dentist’s chair, which is the most comfortable chair on the market. There is even a television screen installed above! Alex Bratic Dental Care is near the Pacific Motorway near Beenleigh Station, with convenient public transport nearby, free onsite parking and limited early evening hours! Tags: How Long Do Dental Crowns Last? 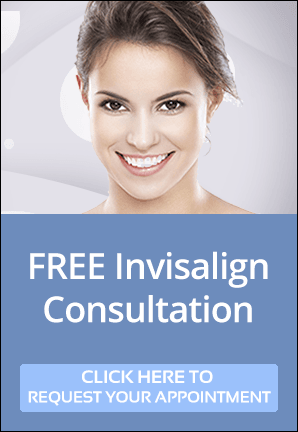 PreviousPrevious post:Our Easter Break Opening HoursNextNext post:Invisalign, The Invisible Secret for Straight Teeth!